NCP not finalising its merger has been featured in most newspapers along with the news of officials from Land and Revenue office involved in the Lalita Niwas case being on the run. Nepal’s first satellite being launched into orbit on Thursday has also been featured in some newspapers. 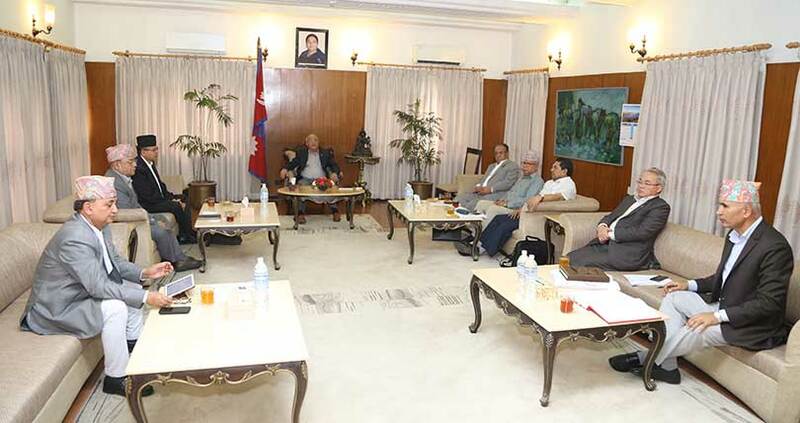 The Himalayan Times reports that with the deadline approaching, but senior leaders of Nepal Communist Party have not been able to reach consensus on the unity of lower-level committees. 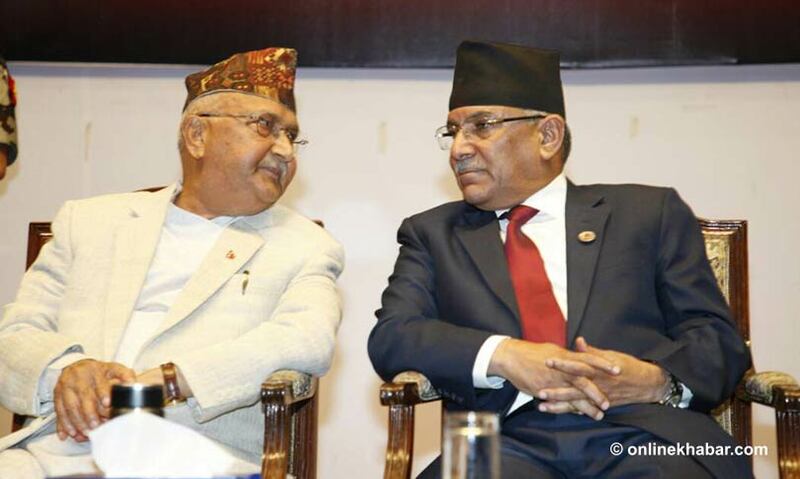 The two co-chairs of the party, Prime Minister KP Sharma Oli and Pushpa Kamal Dahal, have been publicly saying that the party unification process would be wrapped up by April 22, the day the erstwhile Communist Party was formed. 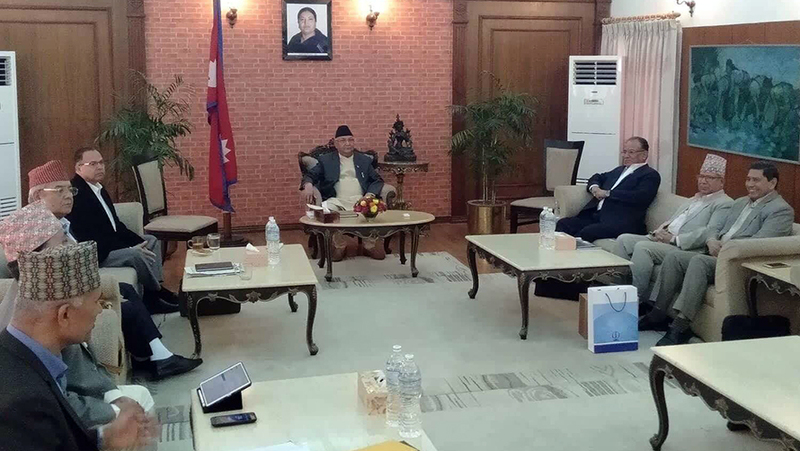 But as of Monday, senior leaders of the party have not been able to finalise leaders of district committees and departments and give concrete shape to sister organisations, leaving many wondering whether unification process could be completed by Monday. The Himalayan Times reports Nepali Congress is launching a nationwide ‘awareness campaign’ to educate people about the government’s wrongdoings. NC Vice-president Bimalendra Nidhi on Monday said the party would announce the campaign on Tuesday to be implemented in three phases. The campaign includes informing people about the government’s wrong policies and NC’s policies and training party workers on the implementation of the party’s amended statute. Under the campaign, each central working committee member will spend at least a month in an assigned district and work for the expansion of the organisation and formation of lower-level committees. The CWC members will work at the village level and listen to people’s grievances and work to win their confidence. Repbulica and Nagarik report that dozens of individuals including officials at the land revenue office and brokers have gone out of contact after a probe commenced on the transfer of government land at Lalita Niwas, Baluwatar into private ownership. 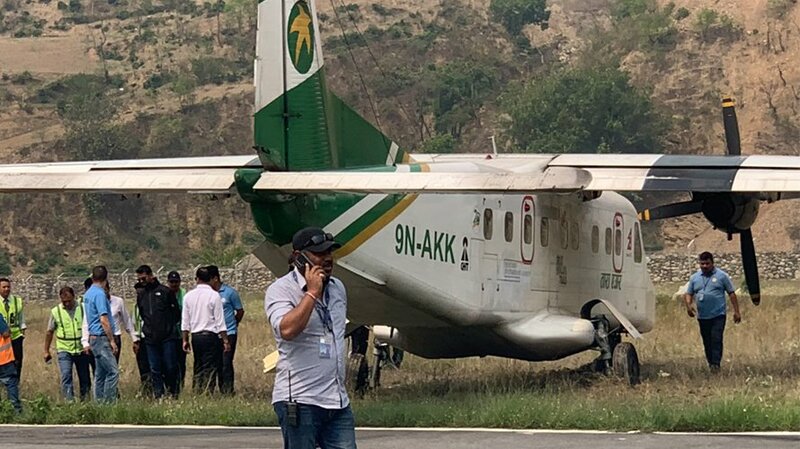 According to CIB officials, land agents Shovakant Dhakal and Ram Kumar Subedi remain out of contact and their cell phones were switched off when attempts were made to reach them for inquiries. 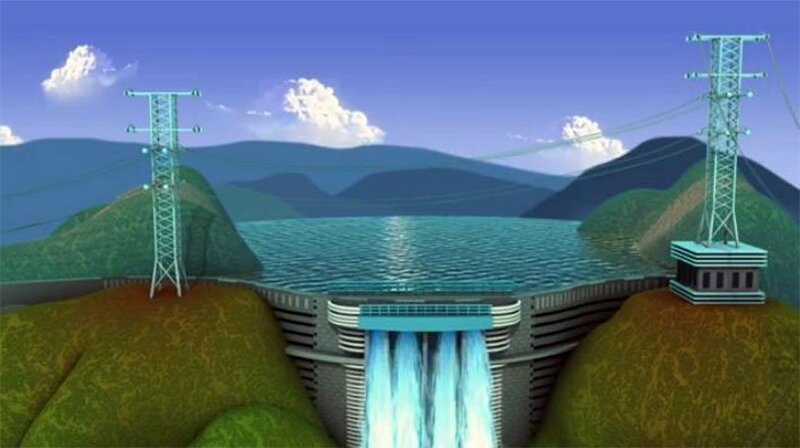 Dhakal and Subedi are accused of selling the land to some businesspersons in collusion with those who once held the land. 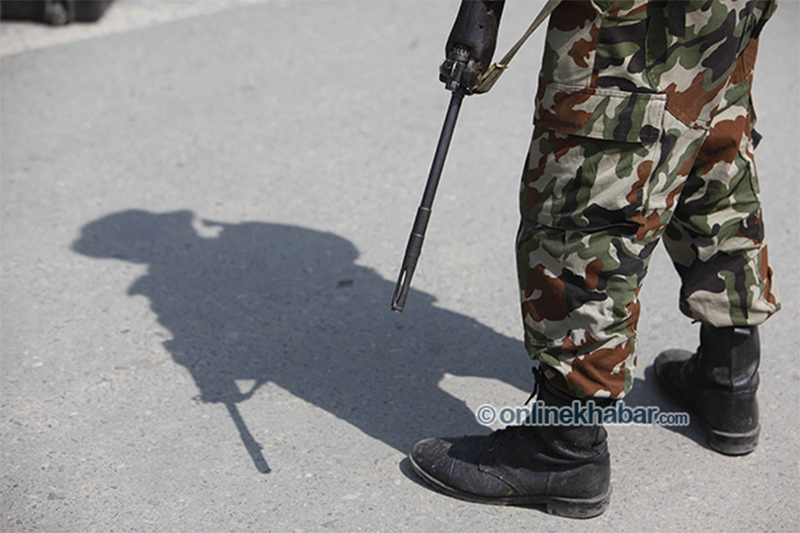 The suspects may be on the run following investigations by the authorities and by a high-level commission formed by the government under former secretary Sharada Prasad Trital, said sources at the CIB. Simalrly, Nepal Samacharpatra reports that 22 officials from the Land and Revenue office will face action for their role in the case. This comes after PM KP Sharma Oli himself said that those involved in the case will be punished. 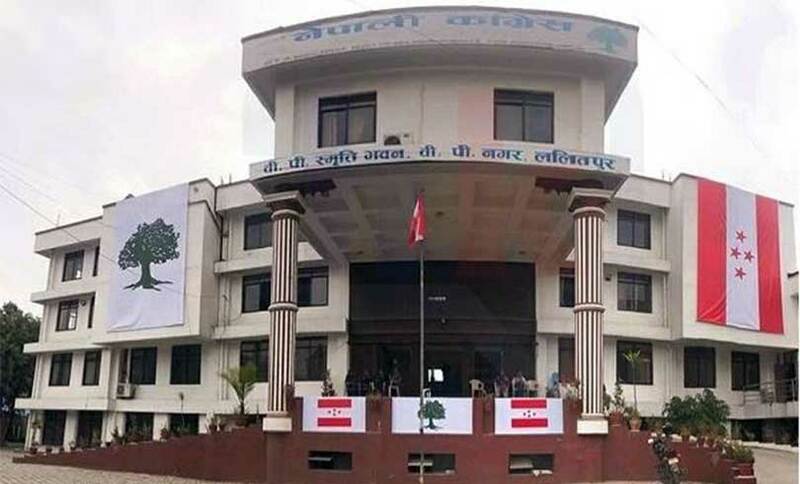 Republica reports that Prime Minister KP Sharma Oli along with senior NCP leaders Pushpa Kamal Dahal and Madhav Kumar Nepal unknowingly handed out dubious world record certificate for the cheapest education to Samata School. The certificate titled World Book of Records which is registered in India was handed out to the school’s principal Uttam Sanjel by the trio last week. However, various Indian websites describe the World Book of Records as an organisation that has been issuing fake world record certificates. India Book of Records (IBR), a company with its registration in India, has listed the World Book of Records as a fake. Arthik Abhiyan reports that banks have been issuing auto loans despite NRB asking them not to. Nepali banks in the past four months have issued Rs 8.17 billion worth of auto loans to its customers seeing a rise of 4.42 per cent since the first four months of the current fiscal year. Bank provide up to 65 per cent loan to its customers to buy motor bikes or cars. However in October 2018, NRB had asked banks to cut it down to 50 per cent. But banks going against the NRB have still been issuing up to 65 per cent auto loan to its customers. Kantipur reports that even though the Education Ministry had given a one month deadline to the medical colleges to refund the extra fees taken from students, the colleges haven’t done so. The ministry has said it would form a committee to monitor whether the colleges refund the fees. But as the one month deadline nears, the ministry is yet to form a committee. Colleges affiliated to both Kathmandu and Tribhuvan Universities have been charging excess fees to its students. Kantipur reports that Nepal’s first satellite Nepali Sat -1 will be launched into orbit from the United States on Thursday. The satellite will be sent out to orbit at 2:31 am on Thursday. 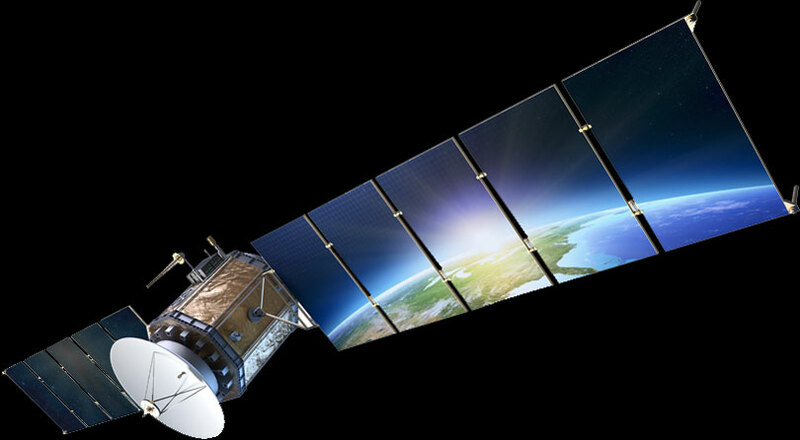 The satellite will be launched from NASA’s base in Virginia. The satellite will be kept in the International Space Station for a month where the astronauts will test the satellite before sending it out to orbit. Annapurna Post reports that there are around 1,100 foreign nationals in Nepali prisons. Police believe that foreigners assume it is easy to come to Nepal to escape the crime they have committed in their nation because Nepal gives visa on arrival to many foreign nationals. Most of the prisoners are from Asia with India leading the line with 373 followed by Pakistan 18, Bhutan 16, China 11 and Bangladesh 10.